Doorbell cameras are great safety additions to your home because they keep you safe and allow you to monitor who is coming up to your door without having to open the door for strangers. The two biggest players in this market are Skybell and Ring, and each provides a high level of security and customer service that ensures your doorbell camera will work. 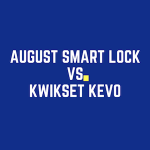 While doorbell cameras are relatively new to the market, like smartlocks, they have come a long way in a short amount of time and are worthwhile investments for your smart home. Skybell hasn’t been around as long as Ring, but they have quickly become one of the giants in the doorbell camera market in a short amount of time. Skybell does have a few issues customers have complained about like difficulty installing it onto their home. Users with slow internet speeds have also reported lags in video and poor motion detection. Despite just a few flaws, there are tons of options that come along with Skybell, and their feature set is probably more expansive than Ring. One huge advantage Skybell has is the ability to view video live at any time from your smartphone or tablet. You can also take pictures at anytime, which is a huge security bonus should you ever need to contact police. Another plus is free video recording for Skybell users. Ring was one of the first products on the market, which means they’ve had a lot of time to work out the bugs and listen to customer critiques to craft their very best model. Ring can either run via battery power, or hook into your existing doorbell wiring. Ring uses special screws to ensure it cannot be stolen (Ring will replace if someone does manage to pry it from your home). Their current doorbell camera features many things Ring’s customers have been asking for, like motion sensors and two-way audio so you can interact with anyone at your door and not just hear what they are doing. Ring has an upgrade plan that allows you to save video for up to 60 days, which can be helpful in identifying any suspicious activity if you aren’t by your phone. If you choose not to upgrade, Ring is free to use for as long as you have your product. While Skybell has more features that we would like to see with the next generation of Ring, Ring wins this battle due to the fact that it has tested out more reliable than did Skybell. Ring is at it’s best when you have the video recording option, and at just $30 per year, it’s a small investment for the ability to have video if someone were to break into your home. Skybell does have a place in the market, and for people with fast internet and that might travel from home a lot and would want to see video at any given time, it is a fantastic product. No matter which you choose, Skybell and Ring are great doorbell cameras and should continue to get better as they improve bugs and continue listening to their clients. Keep an eye out for Nest’s new doorbell camera, the Nest Hello. 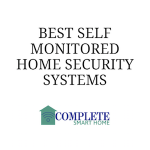 Looking for an outdoor security camera? 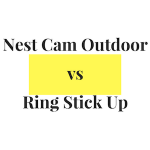 Check out our comparison of the Nest Cam and Ring Stick Up Cam.